Although established design principles for magnetic sound recording were observed, there’s quite a bit of give and take in the analogue world. This kept the dream of a handheld audio recorder alive, but Philips still had to make some important decisions regarding frequency response and acceptable levels of distortion. The battleground for these arguments lay in the bias and equalisation configurations. As established decades earlier, simultaneously adding an inaudible high-frequency signal to audible sounds during recording dramatically improves the audio quality, thanks to the way magnetic tape heads work. This so-called AC bias dealt with coercivity issues inherent in magnetic media and, rather than go into the physics of it all, you can find plenty of material online explaining hysteresis loops and tape saturation. That said, choosing the level of bias current determines certain factors regarding frequency response, and Philips had to judge what was appropriate for its intended audience. A high bias field favoured lower frequencies whereas a small bias current suited higher frequencies. It’s all to do with where the signal gets recorded in the tape layer. Low frequencies are deeper into it whereas high frequencies are more on the surface. Philips worked out a suitable compromise with a low bias current that favoured the high frequencies and utilised equalisation circuitry to boost treble when recording and conversely boost low frequencies on playback. 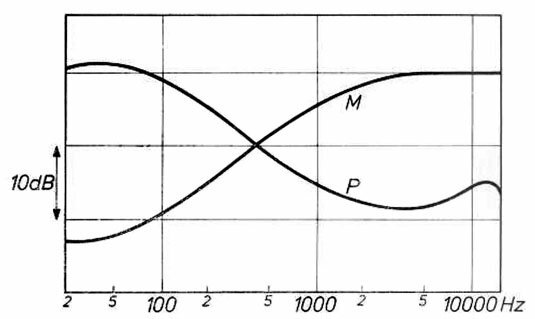 Using EQ in this way was common in magnetic recording, yet the configurations Philips had devised needed to become standardised. The bias and EQ circuitry for every cassette recorder worldwide had to follow the company’s sound reproduction recipe. Apart from the cassette specifications, reference tapes of frequencies at precise levels would be used for calibration. Another factor in all this was the tape head, which is effectively an electromagnet whose poles are positioned just above the moving media. The tiny gap of the head (see the above diagram) determines the highest frequency that can be recorded. A gap of 2µm was chosen to achieve a theoretical maximum frequency of about 12kHz. For Philips, up to 10kHz was good enough and it worked out all its bias and record-playback EQ settings based around that gap dimension. A smaller head gap would lower the high frequency response but boost the recording strength, and so this was another critical part of the standard to be adhered to. If everyone started customising the specs, tapes recorded on one machine would potentially sound dreadful when replayed on another. And in some respects, Dolby's noise reduction tech, which would eventually find its way into Compact Cassette recorders and dominated pre-recorded Compact Cassette production, has a lot to answer for. As the tape needed to be flipped over, details of the recording track area were essential too, and as stereo recording had also been implicit during development, these track widths were crucial. The tape was capable of four tracks – a pair in each direction for two track heads – and these needed to be separated to avoid crosstalk. In a mono arrangement, each track was 1.5mm per side across the 3.8mm tape width. For stereo, the left and right tracks were only 0.6mm apiece, with 0.3mm separation to avoid crosstalk. 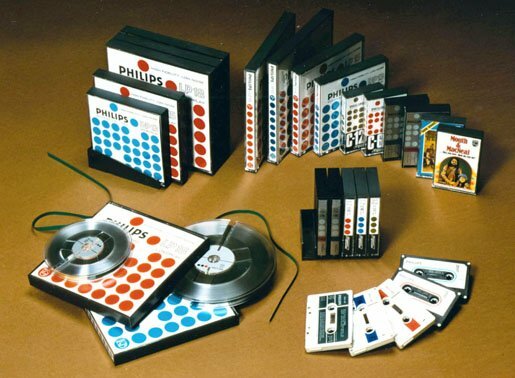 Needless to say, smaller track sizes did impact on the output of the left and right channels, but combined, the output was satisfactory, and Philips claimed cassettes reproduced better stereo separation than vinyl records. Yet where a record turntable only had to rotate at a regular speed and the tone arm would do the rest, tape needed to be dragged from one spool onto another and across the erase, record-playback heads along the way and all at a constant speed. RCA’s approach included tiny tension arms used by reel-to-reel systems – you can see the slots for them on the sides of the cartridge. The need for these variable levers was to even out any slack in the tape transport and maintain good contact with the tape head array. Single-spool cartridge formats, such as the Fidelipac, had no tension arms but made firm contact with the head by having pressure pads behind the tape. So when the cartridge was engaged, the tape was sandwiched between the head and a fibre pad. Despite being originally intended as a dictation machine, the free licensing of the Compact Cassette standard sparked widespread adoption by electronics manufacturers, particularly in Japan. In a relatively short time, technical advances in the recorder components and magnetic media led to a steady improvement in the performance of the format. Consequently, the Musicassette - cassette tapes prerecorded with music - increased in popularity as the sound reproduction improved. Admittedly, some companies with interests in other formats held off mass production of Musicassettes of their artists’ catalogues, but they would be won over in the end. The actual production of Musicassettes was done on machines running 32 times faster than normal playback. Cassette tape would be reeled over four heads recording what would be both sides at once at 60 IPS. The master tape that was source of the original music had been recorded at 7.5 IPS and this would also run 32 times faster, clocking up a playback speed of 240 IPS for duplication purposes. A 1,500m reel of cassette tape was used for each run from which multiple Musicassettes would be made. Tones separating the programme material were used to identify the beginning and end of each completed Musicassettes album to aid splicing and packaging. This super-fast tape transport also required the circuitry to follow suit. So instead of the bias frequency being around 80kHz, it was now 2.4MHz; the amplifiers also needed to work over a frequency range of 200kHz to 500kHz. 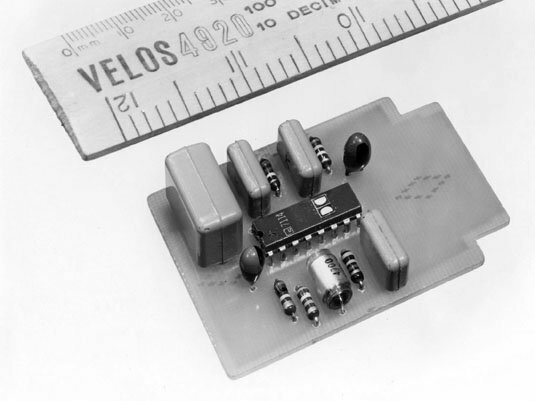 The head gap was also enlarged to 4µm. This fast tape copying was the only way to knock out cassettes to production deadlines.